Favoroski Presents Traditional Indian Ethnic Sherwani for Men. This Indian Sherwani kurta pajama set includes 1 Sherwani Kurta with Churidar Payjama and Stole. Easy to wear; light weight and soft on the skin for any special occasion. 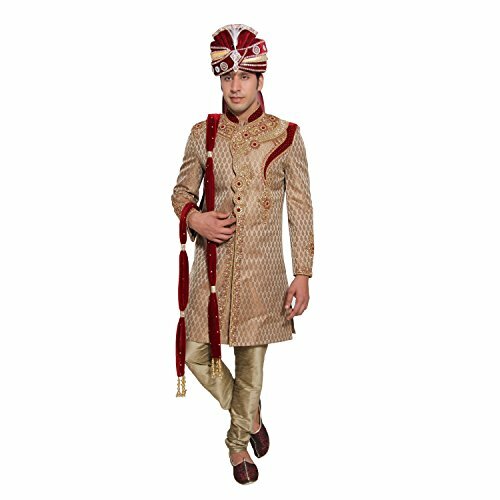 Use this Sherwani for Wedding or as Party wear or in any Traditional Festival. If you have any questions about this product by Favoroski, contact us by completing and submitting the form below. If you are looking for a specif part number, please include it with your message.